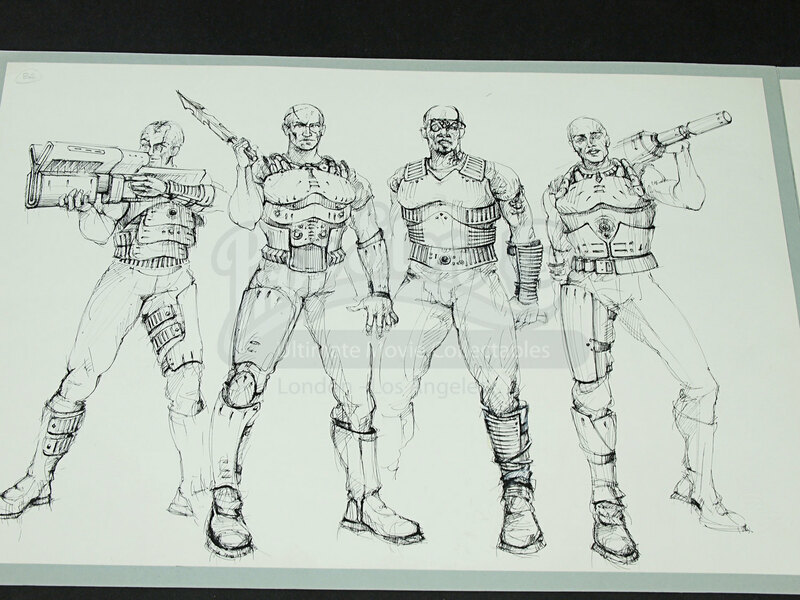 Original concept artwork of the space marines and Pinky, from the production of the sci-fi horror Doom (2005). 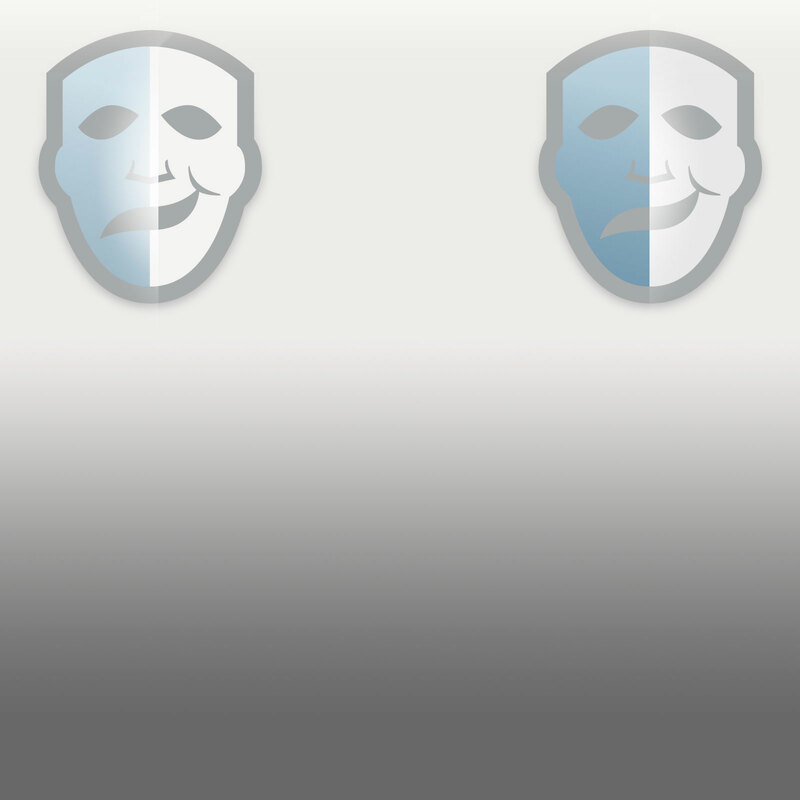 This collection consists of two separate pieces glued on to a folded sheet of blue card. 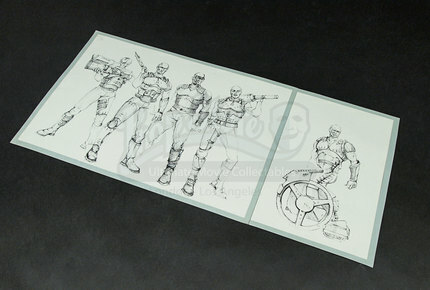 The first page focuses on the team leader Sarge (Dwayne Johnson) and four different costume designs. This is sketched in fine black pen on white paper 48cm x 33cm (19”x13”). It even features him wielding the "BFG". The second drawing is a concept of Pinky (Dexter Fletcher) In the same fine black pen sketch style on a smaller sheet of white paper measuring 21cm x 33cm (8.5” x 13”). These are both stuck onto a large sheet of blue card measuring 72.5cm x 35cm (28.5” x 13.75”). The card has ripped on the fold between the two sketches but not completely so it remains intact, however the drawings themselves are not affected and remain in excellent condition.